The bull rider may use only one hand to stay aboard during the eight-second ride. If he touches the bull or himself with his free hand, he receives no score. But unlike the other rough stock contestants, bull riders are not required to mark out their animals. 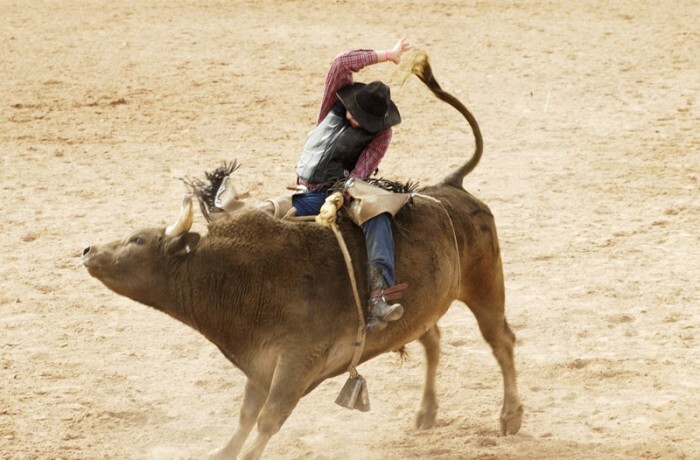 While spurring a bull can add to the cowboy's score, riders are commonly judged solely on their ability to stay aboard the twisting, bucking mass of muscle. Bull fighters and clowns are available to assist the cowboy if needed.